Pelletron provides pneumatic conveying systems, special dedusting technologies and components for plastics manufacturers and compounders. 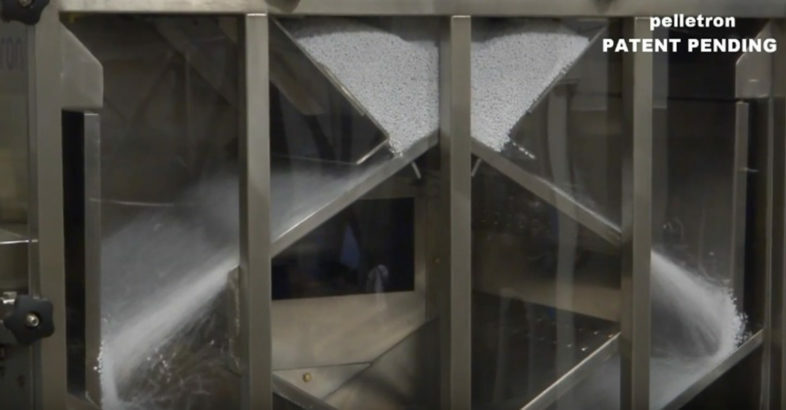 The new conveying process pellcon3® was developed for this industry to reduce the creation of dust and streamers and to reduce investment costs. This process demonstrates the new thinking in pneumatic conveying. Selection of the suitable pneumatic conveying transfer system for dry bulk solid materials (pellets, granules, chips, regrind and powders) is important for the function and the economical, reliable operation of an entire plant. Complex and unreliable systems lead to high maintenance costs and plant shut downs. Whether it is de-bottlenecking an existing system or designing a complete turnkey plant from the ground up, Pelletron’s extensive know-how and experience ensures that solutions are efficient, cost-effective and meet the industry’s highest standards of quality. Pelletron’s project managers are familiar with national and international standards and are supported by local service providers and suppliers.